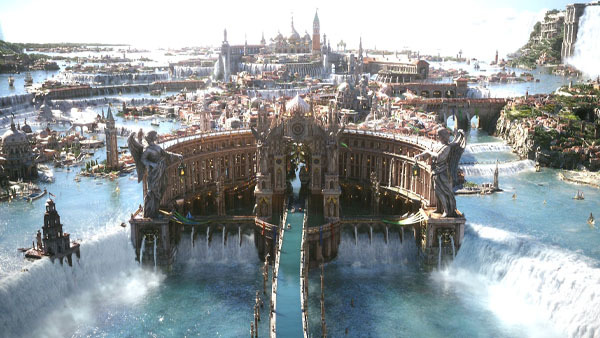 Altissia is of "considerable scale," says planner Tomonori. The Final Fantasy XV development team have taken to the game’s official forums today to answer a few questions from users, including those concerning the scale of Altissia, building warp points, and battle modes. Get the questions and answers below. Planner Ishikawa Tomonori: “I can tell everyone a little about Altissia at this time. “Altissia has many and varied locations, such as multiple cafes, ship-bourne market places and parks etc. The city is of a considerable scale, to the extent that even the developers sometimes get lost there! “The player is free to take a leisurely walk around the complex maze of streets, or ride the gondola to see the sights and there is also added enjoyment to be had looking for restaurants to visit! “You are bound to encounter some unique characters when exploring the city streets. Lead Level Designer Terada Takefumi: “Why of course they will! Final Fantasy XV is due out for PlayStation 4 and Xbox One in 2016.